3 Bedroom Detached House For Sale in Rotherham for Guide Price £315,000. 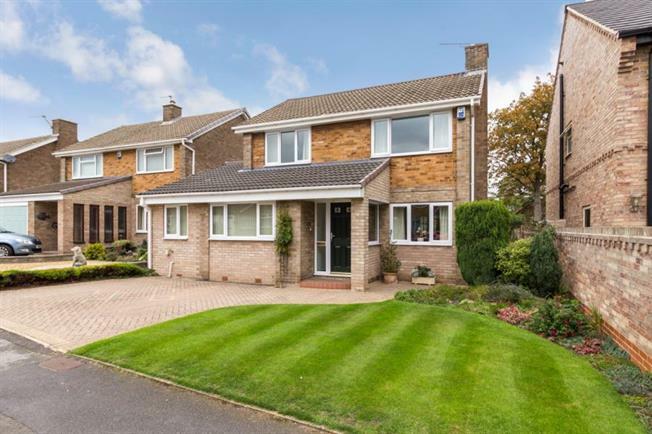 Boasting This Impressive Extended Family Home Enjoying Highly Versatile And Generously Proportioned Living Accommodation. Offering Potential To Provide An Annexe Ideal For Dependant Relative Or Teenager. This three bedroom detached is situated in a highly sought after location, giving access to public transport links, local amenities and commuter links. In brief the property comprises of front entrance porch leading into entrance hall. Recently refurbished lounge with feature fire surround and double doors lead to the sun room. Recently refitted kitchen supplied and installed by Home Town Designs of Wickersley, having a superb range of fitted wall and base units including integrated appliances. Inner hall leading to the dining room, utility room and shower room. First floor landing, three spacious bedrooms and family bathroom and separate w.c. Outside there are immaculately presented gardens with mature shrubs to the front and rear. Block paved drive to the front providing off road parking.